Indian Premier League 2012 is making hoards of news headlines in the newspapers. It is stuffing pages of newspapers with highlights of the matches. 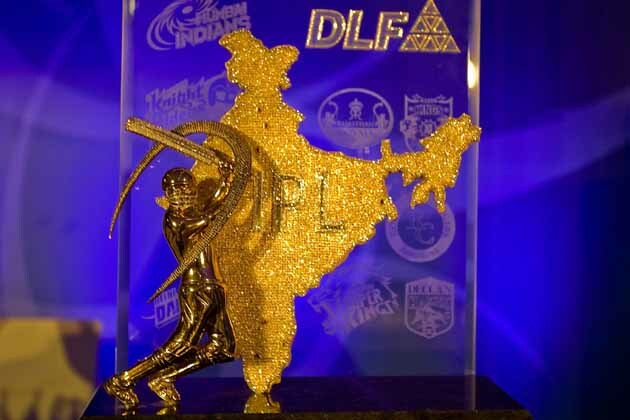 Indian Premier League known much popularly as IPL is the main topic of the discussions held at offices, public places and educational institutions in India. This years IPL was inaugurated in a glittering ceremony on 3rd of April at YMCA grounds in Chennai. Many top celebrities including pop star Katy Perry and Amitabh Bachchan took part in the grand celebrations. The opening match of this year’s IPL was held between Chennai Super kings and Mumbai Indians. The matches will be held at different venues in India. There will be nine teams playing in the IPL 2012. The teams playing this season are Mumbai Indians, Royal challengers Bangalore, Hyderabad Deccan Chargers, Chennai super kings, Delhi Daredevils, Kings eleven Punjab, Kolkata night riders, Rajasthan Royals and Pune Warriors India. The auction of players was held on 4th February 2012 at ITC Royal Gardenia in Bengaluru. IPL authority increased number of players from 30 to 33 in each squad. The competition is gaining more and more popularity in India as well as other countries. Many positive changes in the teams playing in IPL this year have increased the excitement of the competition. Delhi Daredevils will try to be on the winning track with the additions of Mahela Jayawardene and dashing England batsman Kevin Petersen. This two will be strengthening Delhi’s batting side. In the inauguration match itself Mumbai had stunned Chennai the most consistent side and the two time winners of IPL title in 2010 and 2011. But Chennai restored very fast from this shock defeating Hyderabad Deccan chargers by 74 runs. Deccan chargers were the winners of the 2009 IPL edition. Ravindra Jadeja showing a brilliant all round performance at Visakhapatnam has raised more expectations from his team. Delhi Daredevils have pondered the inspirations of Royal Challenges Bangalore. Bravo and Raina are also supposed to provide great entertainment by giving splendid performances. The only concern of Chennai super kings is the skipper’s indifferent form. Recently Mumbai had given a real blow to Deccan chargers with an unexpected win by 5 wickets. The Indian Premier League is an overwhelming brain child of Shri Lalit Modi the then Vice President of Board of Cricket Control in India (BCCI). He was inspired by English Premier League and other European leagues to start IPL in India. The format of Twenty-Twenty cricket had emerged as a successful phenomenon after the T20 cricket world cup was won by India. Indian cricket lovers were highly impressed with the shortest version of T20 cricket match style. The Indian Cricket Board approved it a few months back. The Indian Premier League is looked upon as a very good opportunity as far as entertainment and money making is concerned. It has become more popular in less time due to speed, thrill and entertainment packed in the matches. IPL is also proving to be a blessing for the rising cricket stars of India who can show their talent and get quick fame in short time by throwing a dazzling performance in the competition. IPL will quench your thirst of cricket and if you want to fulfill your travel related thirst then avail Magic Holidays the vacation package providing vacation for twenty five years on a one time inflation free payment.